The Corinthian Bells are the perfect musical centerpiece for your porch, patio, or sitting area. Corinthian Bells windchimes are the first in a new generation of windchimes to combine excellence in design with incredible tones and resonance. The Corinthian Bells are the perfect musical centerpiece for your porch, patio, or sitting area. Corinthian Bells windchimes are the first in a new generation of windchimes to combine excellence in design with incredible tones and resonance. 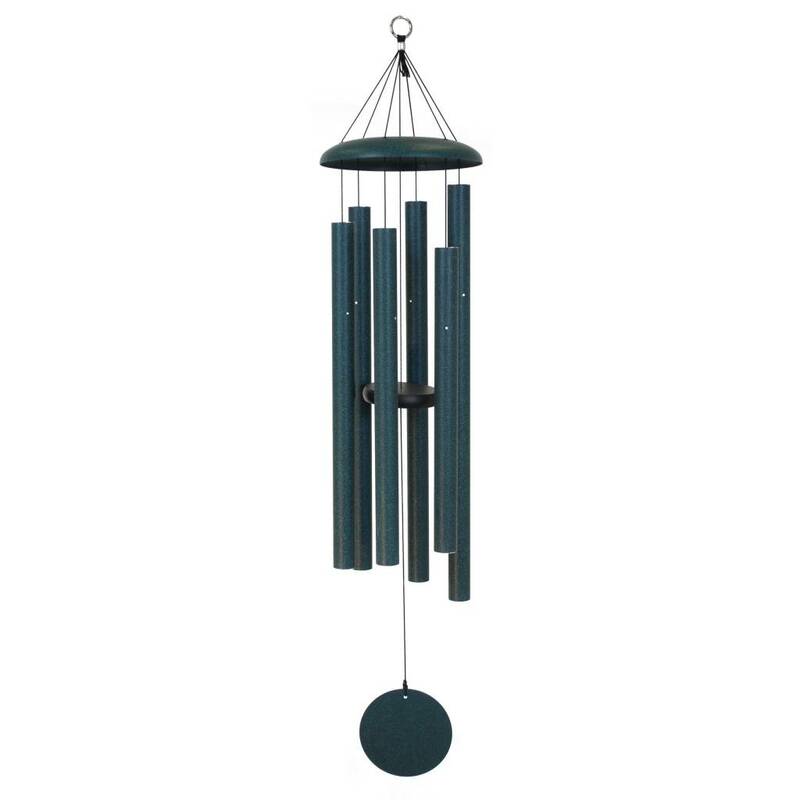 These are visually and acoustically exceptional chimes. The centrally suspended heavy-walled aluminum tubes along with the high density striker give these chimes their outstanding tones and resonance. The tubes are powder coated to match the dome and wind sail, giving a complete finished look to the chime. We've carried these windchimes for 12 years. Made in the USA! Length of Longest Tube (inches): 15"
36" The moderate size of the T306 makes it one of our most versatile windchimes. It's large enough to serve a focal point in your landscape design, yet small enough to fit above a typical porch rail. 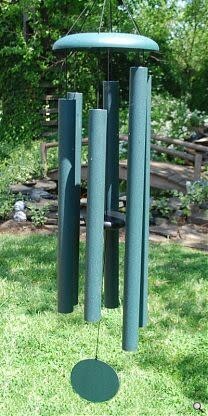 Length of Longest Tube (inches): 18 1/2"
The 44" makes an excellent compliment to a wide range of chimes. 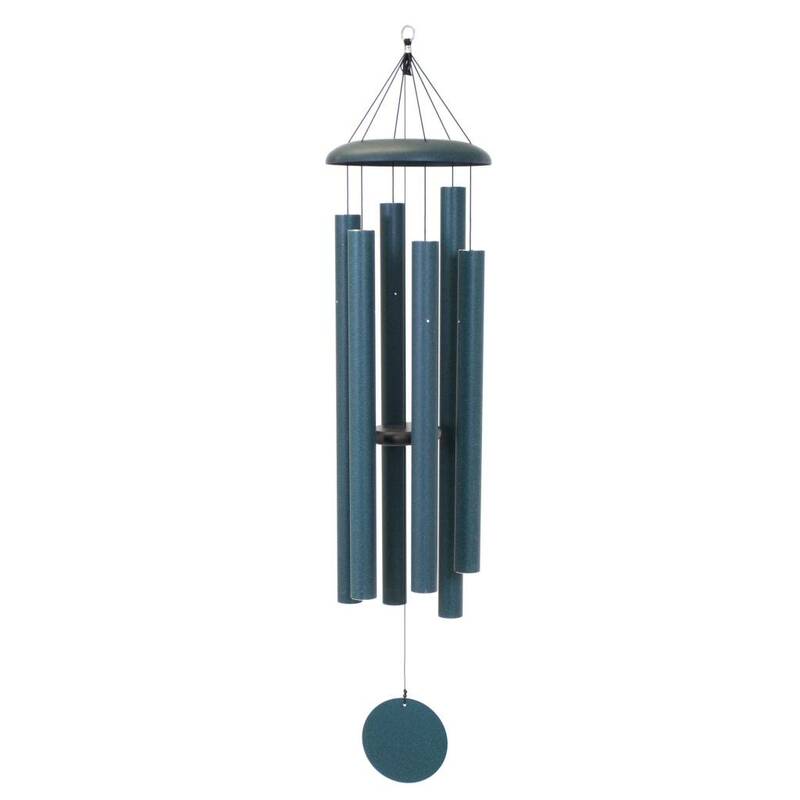 It can give depth when paired with our smaller models or add flair to the low tones of our larger chimes. 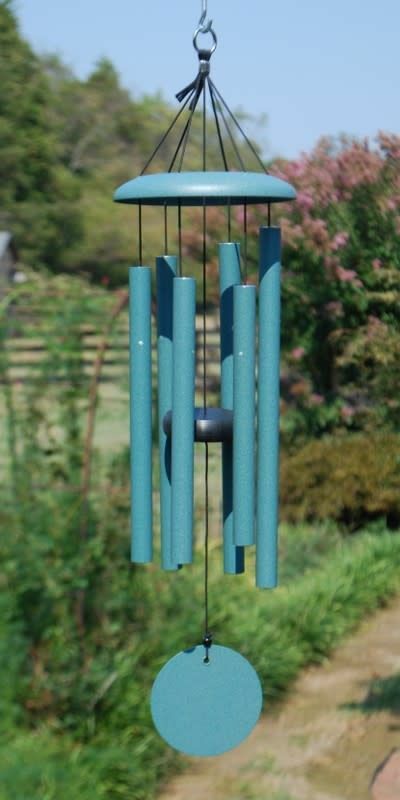 Diameter of Tubes: 1 1/4"
Length of Longest Tube (inches): 23"
Diameter of Tubes: 1 3/4"
Length of Longest Tube (inches): 32"
The 55" is unique in that it's the only Corinthian Bells® chime tuned to a major 7th chord. If you're musically inclined, the depth of harmony played by the 55" will be music to your ears. Length of Longest Tube (inches): 34 1/4"